Elbow pain is a very common reason to seek medical attention. Elbow pain is common in nearly all age groups, albeit for different reasons. It’s not unusual to have a young pitcher with elbow pain in one room and a 50 something in another room with severe elbow pain. Elbow pain can be caused by injury, chronic stress or age related degeneration. The elbow is a very complex joint. The elbow functions beautifully because of the combined functions of the bones, tendons, ligaments and cartilage. Our hip joint is very stable because it is a ball stuck deep within a socket. Our elbow is not so lucky. It has no inherent stability because of the shape of the bones. The bones of the elbow are held together by 3 major ligaments. There are many large muscles that attach just above and below your elbow to help you bend, straighten and twist the elbow. When everything is working well, the elbow functions well. Depending on our age and chosen activity, any one of the structures mentioned can breakdown and become a cause of elbow pain. Bones – The bones around the elbow are can be over-stressed with activities such as pitching. 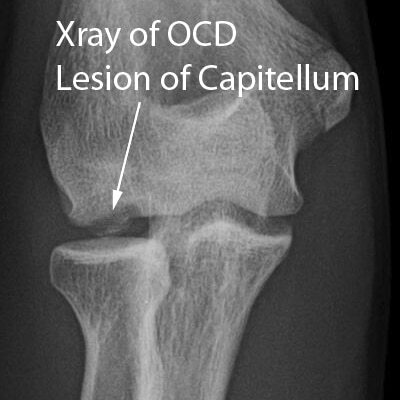 Stress fractures in the elbow, especially in young pitchers are a very common injury. Obey those pitch counts !!! Cartilage – The cartilage can suffer from the repetivie stress of overhead sports. These injuries can be devastating for an athlete if not promptly evaluated and treated. Tendons – As we age, and based on our activities, our tendons suffer from degeneration — they wear out. We call that proccess tendinosis. 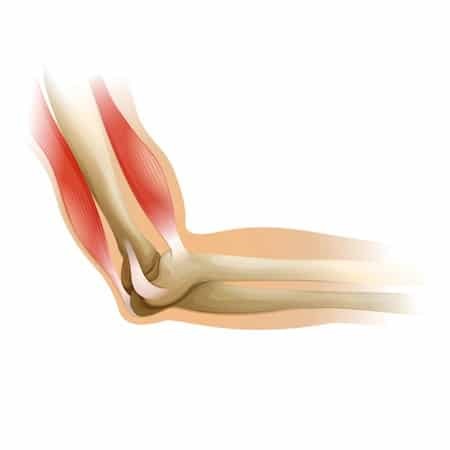 Tennis Elbow or lateral epicondylosis is a very common cause of pain on the outer portion of the elbow. Ligaments -After a traumatic injury you can tear any or all of the ligaments around the elbow. With overhead sports such as pitching, Javelin throwing and volleyball it is possible to injury the ulnar or medical collateral ligament. Nerves- Many nerves cross the elbow as they head down towards the hand. They can become injured or compressed from chronic stress as they do so and cause elbow pain. Ulnar collateral ligament (UCL) injuries : Or an injury to the Tommy John ligament. The elbow is under an enormous amount of stress during pitching. It is accelerating at over 3000 degrees per second. Considering a full circle is 360 degrees that’s pretty incredible. With the loss of seasonality of sports and year round training, your UCL never truly gets a chance to recover from the chronic stress of the normal baseball season. That chronic stress is cumulative, which means that it keeps adding up. Coaches, parents and pitchers are ignoring pitch counts – which have been shown to protect most athletes from UCL injuries. Rest periods are shortening. Children who pitch one night are out with their throwing coach the next day. This is a recipe for a disaster. Not all pitchers who have Tommy John surgery will do well. Your best chance at a successful pitching career is to prevent a UCL injury to begin with. If you are 17 and throwing 85 mph plus, great, protect your arm. Don’t over throw, don’t throw 125 pitches Monday and come back in to throw on Thursday because your coach wants you to. Save your arm, protect your UCL and you will increase your chances of pitching your way through college. 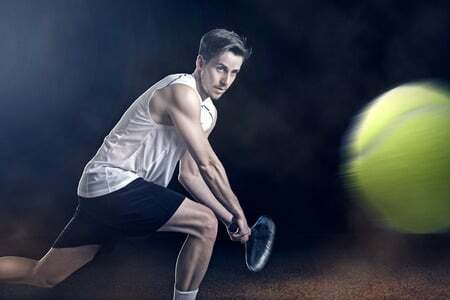 Tennis Elbow: This is one of the worst names for a condition since most people with tennis elbow do not play tennis and most tennis players do not get tennis elbow. Tennis elbow is one of the most common causes of elbow pain. It hurts if you lift anything, even your coffee cup. The pain is on the outer side of elbow and can become quite severe. Beware of steroid injections. They may help for a short while, but tennis elbow is caused by tendon degeneration, the steroid can actually make things worse. It is not uncommon to see someone who had severe elbow pain from tennis elbow do very well for 3 months after an injection only to have the pain return at twice the initial intensity. Elbow compression sleeves help provide relief for many of you. The Flex Bar works very well to treat tennis elbow. The flex bar can be obtained here. Occasionally we will try PRP injections or bone marrow injections too. Surgery is rarely necessary, even if an MRI shows a small tear in that region. Osteochondritis Dessicans (OCD) ; Osteo .. what? :-) Big name for a less common cause of elbow pain in younger patients . OCD is also caused by chronic repetitive stress. To make a long story short, the receptive stress of overhead sports put a lot of stress on the outer bones of the elbow. A small area in a region we call the capitellum will temporarily lose it’s blood supply. When that happens the pain will begin. These athletes have pain on the outer side of the arm with throwing, they lose the ability to straighten the arm all the way, and in some cases they have significant swelling in the elbow. 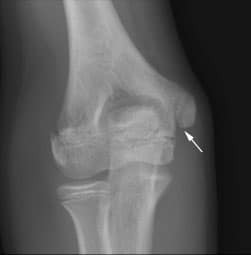 Over time, if this is condition in not treated (usually rest), then that bone can actually loosen and become a loose body or loose piece of bone floating around the elbow. Now your child will complain of elbow pain, loss of motion AND occasional catching or locking where they feel that the elbow is getting stuck. The treatment of OCD if caught early is rest… and the success rate of that is really high. If it is not caught early and a loose piece is present then there is also a loss of cartilage in the elbow and your child may not be able to return to pitching. An elbow arthroscopy, or scope can remove the loose piece, but the damage has been done. Any overhead athlete with pain on the outer side of the elbow for 10-14 days should be evaluated by a Sports Medicine professional. Little Leaguers Elbow: Our children are still growing. Therefore they have growth plates within their bones. That little growth plate where the arrow is in the picture has many muscles on ligaments attaching to the small round piece of bone next to it. A growth plate has cartilage in it. Therefore it is weaker than bone. With the stress of overhead sports that growth plate can weaken. Initially, your child will complain of elbow pain on the inner side of the elbow. The bone on the inner side of the elbow will be tender to touch. This is the stress fracture stage. If treated with rest, and a compression sleeve the growth plate will heal and your child will be normal. If, however, they continue throwing then the bone can pull off or completely fracture. 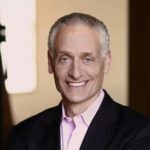 Many of those injuries will require surgery to put the bone back into its normal place to restore the normal anatomy of the ligaments and muscles attached to the bone. Any child with throwing related pain on the inner side of the elbow for more than a week should be evaluated by a Sports Medicine professional. The biceps and the triceps are the two largest muscles which cross the elbow. Many of you might have pain in the elbow due to inflammation of the these tendons. This more commonly occurs in people who work out often or perform heavy manual labor. If you are helping your buddy carry something and they let go of their end and you feel a pop in your elbow, you more than likely tore your biceps tendon. 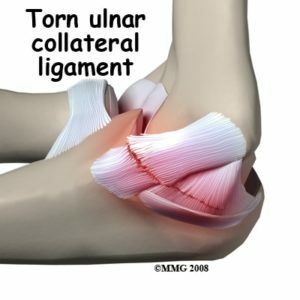 More info on biceps tendon tears here. It is possible to tear the triceps tendon as well… but this is a very rare injury. Both biceps and triceps tendon tears tend to require surgical repair. Ulnar nerve : Your “funny bone” isn’t actually a bone at all :-) It is the ulnar nerve which resides on the inner side of your elbow. It is in a little tunnel we call the cubital tunnel. When you strike that area and get that funny feeling it is because you struck the nerve. Over time the ulnar nerve can become “trapped” or stuck in the tunnel. 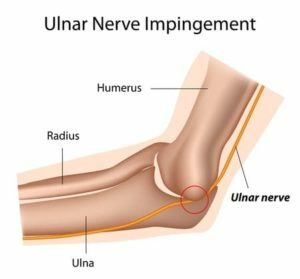 If there is significant pressure on the ulnar nerve it might start by producing pain or painful snapping on the inner side of the elbow. If this progresses you might develop numbness in a certain region in your hand. In very severe cases you will find that your hand becomes clumsy and weak. There are many causes of elbow pain which can affects all the different tissues around our elbow. Many of these causes of elbow pain are easily treated with rest, therapy or various injections. A few might require surgery. Beware of elbow pain in overhead athletes. They deserve attention sooner rather than later to prevent their problem from becoming far worse and affecting their lives going forward. ← What Is The Function of a Meniscus ?